Cape Town - Veteran defender Wes Morgan thinks Brendan Rodgers can make Leicester City "a force to be reckoned with" in the Premier League. 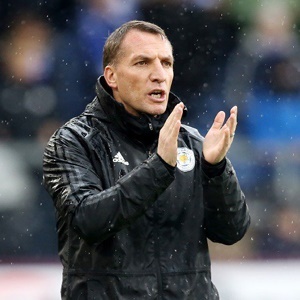 The former Liverpool boss has made a good start to life with the Foxes, overseeing two wins from three matches, most recently a 2-1 victory at Burnley on Saturday that came despite Harry Maguire's fourth-minute red card. Morgan has every reason to like Rodgers given he appeared headed for the exit door at King Power Stadium this summer until the Northern Irishman replaced Claude Puel and said he wanted the veteran defender to stay. "The gaffer's been brilliant,” said the 35-year-old. "He's spoken to me. He likes experienced players. I've been at the club a long time and he made it clear he wants me around - I'm on the gaffer's side! "He's been a real breath of fresh air. He's got a style and identity of how he wants things to work. "It will take time, but we'll get there in the end and be a force to be reckoned with."